This year Macedonians celebrate the 20th anniversary of their country’s independence from the former Yugoslavia. In the first of a three-part series euronews is in Skopje to find out more about a nation on the move. People in the capital are witnessing a transformation. After much public debate the government has launched a major construction project. Some of the new public buildings, including a court house and a museum, will not look modern. Architects have gone for a style from the past. The capital also has its share of modern buildings and many structures date back to the late 1960s. 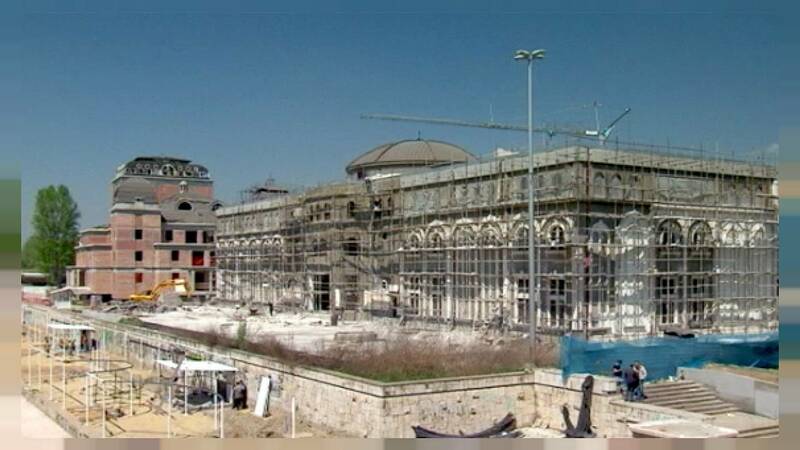 This is because Skopje had to be rebuilt after a devastating earthquake in 1963. Among the newer landmarks, Skopje-born Mother Teresa has been honoured with a memorial house in the city centre. The new transformation is expected to be completed by 2014. TV and radio host Dimitar Antanasovski said: “Before the earthquake my grandparents said that Skopje was more beautiful than it is now. Statues can be found everywhere and most of them are newly created, even if some of them do look ancient. The emphasis here seems to be on preserving the old styles of the past but at the same time depict Skopje as a modern city forging a new identity. But not everything is so recent. One prominent landmark in the city centre, the Stone Bridge, has a rich history that goes back hundreds of years. Over the bridge the Old Bazaar can be found. It is popular with locals and holidaymakers alike with its narrow market streets that date back to the Ottoman-era. Macedonians have always had a passion for coffee and cafés and they are still very much a part of the Skopje landscape. City planners say they want to strike the right balance to achieve urban harmony. There is also a growing emphasis on sport and leisure activities, as well as on the chance to get away from the urban bustle. The nearby Matka Canyon is just one of the popular spots. And after the sun goes down in the city more and more Macedonians are making the most of the burgeoning nightlife.